Princess & the Paper presented by A Jillian Vance Design: Guest Designer Rhonda Van Ginkel ~ Darling Ornament! 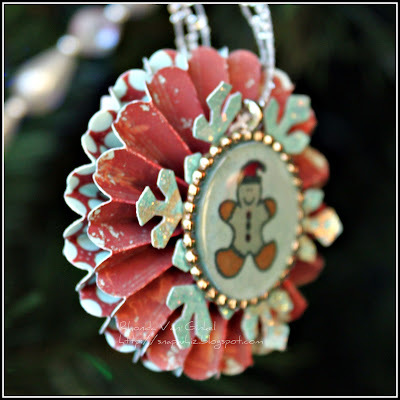 Guest Designer Rhonda Van Ginkel ~ Darling Ornament! 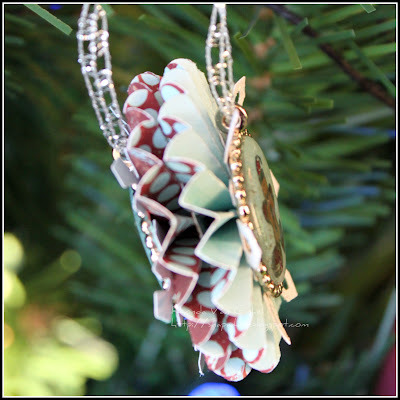 To create this ornament I used the Tim Holtz Accordion Flower die by Sizzix. I created two and sandwiched them together. 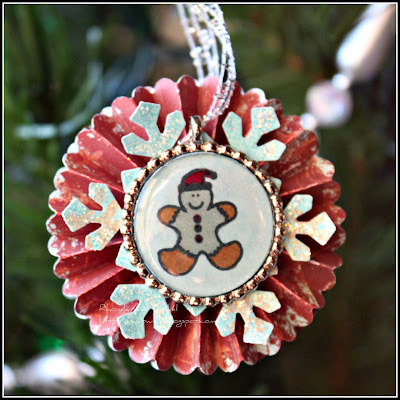 The cute little gingerbread men are stamps by A. Jillian Vance Design and represent my kids. I colored them with my Copics. I added a layer on either side of a punched snowflake. Using my Epiphany Crafts Round 25 Bubble Caps and Metal Charms were a perfect accent and provided a wonderful way to hang the ornament! I punched holes through the center of the snowflakes so my hanger ribbon could be threaded. Here is the flip side. 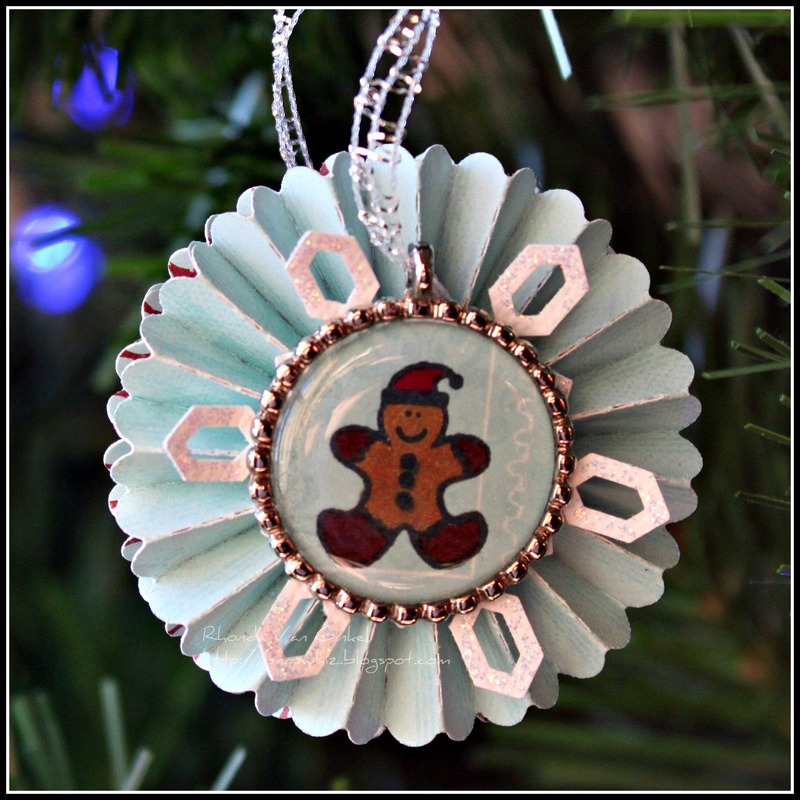 I just love that sweet gingerbread man! A little Diamond Stickles on top of my snowflake and voila~! A sandwich view. oh my flippin' goodness, that is gorgeous!